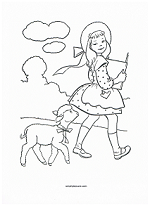 The Mary had a Little Lamb lyrics were first published by a Boston publishing firm, as an original poem, written by Sarah Josepha Hale in 1830. 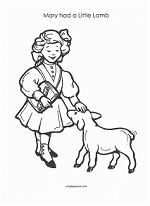 The rhyme was inspired by an actual incident when a girl named Mary Sawyer, from Sterling Massachusetts, took her pet lamb to school at the suggestion of her brother. At school was a young man, named John Roulstone, who was studying in preparation for college. 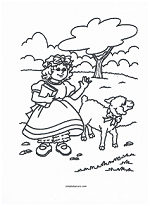 The young man thought it quite funny that the lamb was at school and the following day returned to the school, rhyme in hand, which he presented to Mary. There are competing theories here. One claims that John Roulstone wrote the entire poem. Others state he is responsible for the first four lines and Sarah Josepha Hale wrote the rest. 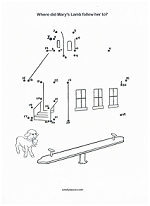 Either way, it's fun for the kids and an easy rhyme for them to learn. 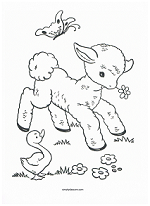 It also produces quite a few chuckles since even small children know that lambs to do not belong at school. "Why does the lamb love Mary so,"